The Australian Grand Prix delivered everything that qualifying did not, providing entertainment from the very first moment until the end. Lewis Hamilton made a bad start and dropped back from pole position, handing the lead over to Sebastian Vettel. However, a huge crash on lap 16 brought out the red flag. Esteban Gutiérrez and Fernando Alonso came together in an accident that saw not much left of the McLaren after it barrel rolled through the gravel and hit the barriers. The Spaniard walked away unharmed, and the race was paused whilst debris was cleared up. The bonus free tyre change allowed for a refreshed strategy which unfortunately Ferrari misjudged, and Vettel had to settle for third. 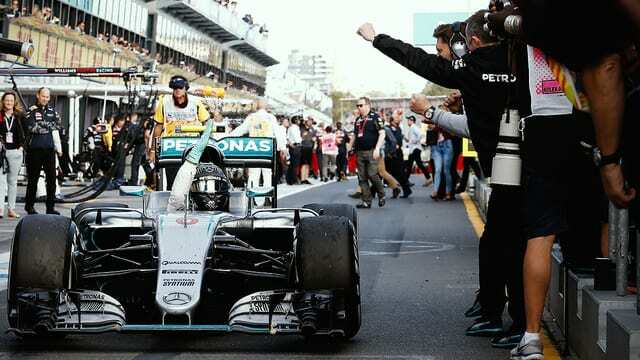 Hamilton regained positions to finish second with Nico Rosberg taking the win. Elsewhere, Grosjean finished sixth on Haas’ debut race, and Toro Rosso had a double points finish although had to deal with a whiny Max Verstappen swearing about team orders on the radio. All in all it was a great race to kick off the brand new season.